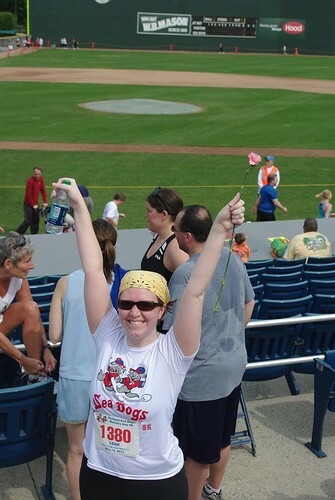 I'm not what you'd call a sporty person, but after a year and a half off, I took up jogging again about two months ago. 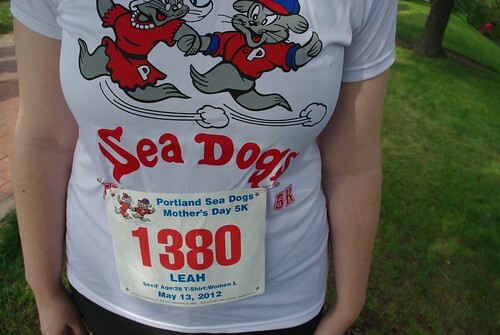 To give myself some motivation, I signed up for the Portland Sea Dogs Mother's Day 5k. 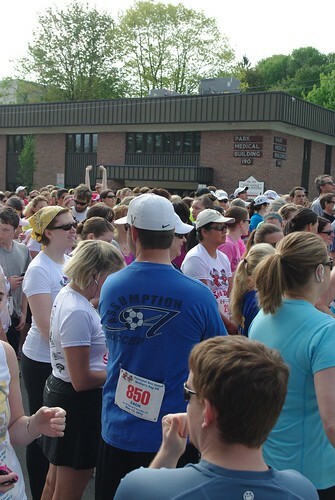 It's the second-largest race in the state, with 3,000 registrants and over 2,600 runners on the actual day. You don't quite realize how many people that is until you're in the midst of it, but that is a lot of people! 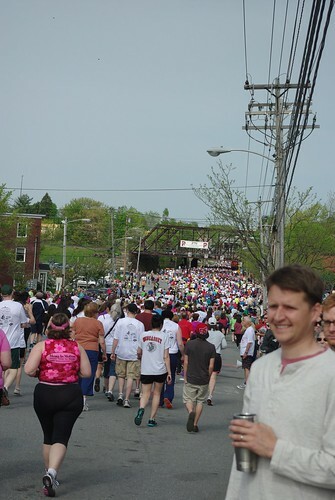 But it gave me a lot of options for people to pace myself off of, and I've learned that I seem to run at the approximate pace of a fit 65-80 year old man. (I just squeaked past a 79-year old at the finish line). 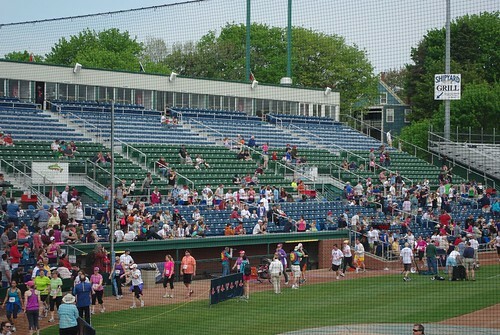 One of the reasons I chose this particular race was because the finish line is inside Hadlock Stadium. And I totally felt like a superstar running into the stadium and giving high fives to the kids along the edge of the seating. 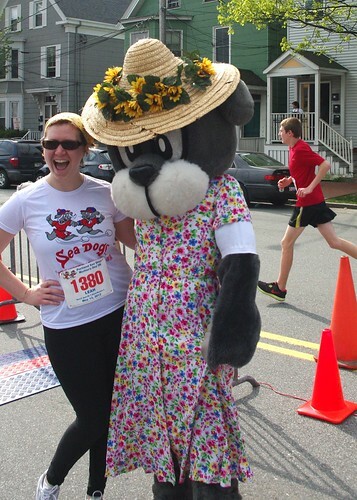 I can't say I'm at the point where I enjoy running itself, but I will say that this race was a blast. Oh and I finished 33 seconds better than last time!